Zomato is once again in news because of its delivery boy. A previous incident showed the lack of education of a delivery boy who consumed customer's food before delivering it but the recent incident showed the condition of a highly educated delivery boy. 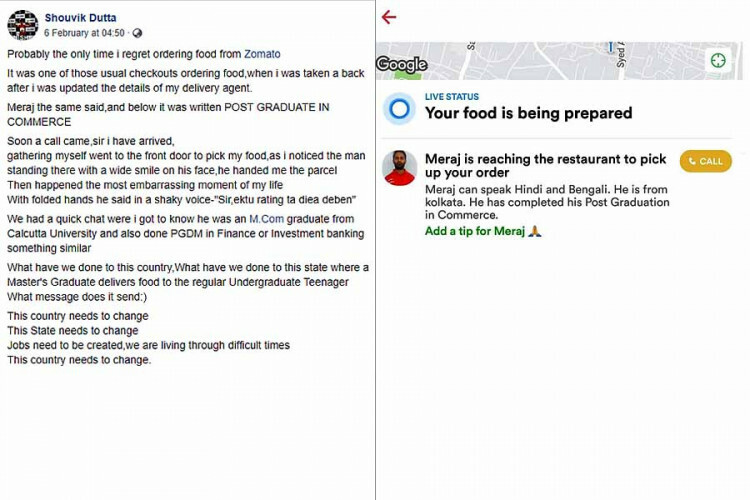 A person in Kolkata when ordered food from Zomato, was updated with the details of the delivery boy, whose bio said he's having an M.com degree. But had to do this job.